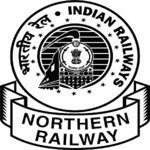 Northern Railways Enquiry Number – People can utilize the the below enquiry number for enquiries regarding PNR status, ticket booking, reservation enquiries, train details and railway time table. IRCTC is the official website of Indian Railways that allows the passengers to book services of railway tickets, catering provided by Northern railways incorporation with the central railways. The users who want to avail the services through IRCTC have to create an IRCTC account and log in to that account. The tickets can be booked between the stations provided in the train schedule list basing on the availability. Payment Options : Payment can be made through Debit cards, Credit Cards, Net banking of all the prominent banks in India. The passengers can also book the cabs and bus tickets through this website. In any case the customers who decide to cancel the reserved service, they can cancel that service by visiting the website prior to the journey time. The refunds are done in the same mode of transactions used during the payment time. It will take 3-5 days for the amount to get credited into the customer account. Note that deduction charges are applied depending on the time left for the journey at the time of cancellation. If the services are cancelled by Northern Railways itself due to technical issues or natural disasters then no deduction charges applies for the customers. Northern Railways zone was created on 14 April 1952 by merging Jodhpur Railway, Bikaner Railway, Eastern Punjab Railway and three divisions of the East Indian Railway north-west of Mughalsarai (Uttar Prad esh). Northern Railways is a branch of Indian Railways with 16 zones present in its service area and head quarters situated at New Delhi Railway Station. It stands as the largest railway network in India and one of the nine old railway zones in India with 6807 kilometre route. The service of Northern Railways covers the states of Jammu and Kashmir, Punjab, Haryana, Himachal Pradesh, Uttarakhand and Uttar Pradesh and the Union territories of Delhi and Chandigarh. Northern Railway Social Media Network : The customers can follow Northern Railways on social media sites like Facebook, Twitter and LinkedIn to get most recent news and notifications of new jobs and other services offered by the Railway ministry of India. Not refund my payment Cancellations E-ticket …. My TDR requested against PNR No.6559203066 has been forwarded to NORTHERN RAILWAY (NR) on 16-Dec-2016. My case was repudiated by NORTHERN RAILWAY (NR) citing that â€œTDR was filed beyond the prescribed time Limit. Actual Departure Date/Time at Source is ’10-12-2016 19:00′ and TDR filing Date/Time is ’12-12-2016 19:12’â€ . I had booked an e- ticket through your authorised agent pnr no. 2126540768 of train no 12622 with my name sharandeep singh for 31 st January 2017 but the train was delayed for more than 4 hours. I even went to railway station train was first delayed and to be expected departed on 00:30 hours on 1 February but it further delayed upto 02:30 hours on 1 February so it was not possible for me to board that train as i had an urgent meeting at destination in morning for which i have booked ticket. Ticket was booked from New delhi to Bhopal sms attached for your refernce. On next day i requested my Agent to file TDR or cancel e- ticket but he refused saying TDR cannot be filed after departure of train. As per the rules of railway, Railway provide full refund if train is delayed more than 4 hours. If counter ticket can be cancelled why not e- ticket. kindly guide me the process by which i can claim refund. I booked a ticket from ND Rly Stn Reservation on 1.4.2013 from New Delhi to Howrah by Kolkata Rajdhani Express on 6.7.2013. Unfortunately there is no PNR Number available in the space provided for. Other details are here. I have tried to contract PRO since morning, though telephone is ringing, nobody is attended. How can I solve the problem. I begto submit in cotinuance of my agony to look the apathy the officals here. Please look to the matter an take necessary remedial steps so that in future nocosy will suffer like me. (DATE OF BIRTH 25-6-1943) . I am to go to BHUBANESWAR for my eye check up. I wanted to talk to Balasore(ORISSA) Station Enquiry.A fter four attempts I cot the connection.But the officer on duty disconnected without giving me informations I requires. Again after several attempt I waned to to know the contact numger of station in chARGE AT THAT TIME. uE GAVE ME ANUMDER FROM WHICH iCOULDNOT GET ABY REPLY AS NODOONE ATTENDED THE PHONE. My father booked two hero honda splendor motercycles at ludhiana parcel office from ludhiana to shahjahanpur on 2june2010. We had not got Both of them yet.plz help! This is really very impossbile to get the train ontime from UNA as the govt didn’t provide any tranport facility to get the train for the person who are not leaving in UNA . Similarly we don’t get any bus when the train reach at UNA station in the night 10:30. If we ask to the taxi driver they asked about 800 rupees if you are leaving just 30 km away from UNA station. Please arrange bus facility at different places like from Una to gagret, and una to hoshirpur so that common person can avail this jansharabdi train. my mother & father go lucknow 24 march 2010 from haridwar .when we reach railway station then we found the train 3010 whitch sudle time 22:15 will late 5:00 hour i.e.3:15.